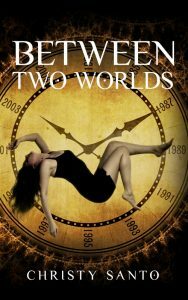 I had a lot of fun writing my time travel piece and posting it on my blog during the last three months! It was a relief not to have answering the question “What topic will I write next for my blog?” However, by the time I began posting the third and final act of my short story, I knew I had to get back into gear and write new blog material One piece started to build in my mind when I got a Chillow – yes the item seen on TV. The bed I sleep on has a space age foam pad on top of a regular mattress. The bed is much more comfortable to sleep on, but the downside is I overheat. No matter the season, I often find I have to sleep with just a sheet on top of me and sometimes I have to have a fan on low to keep my body temperature from rising. One day in CVS I looked down the isle that had all the “As Seen on TV” items. I saw the Chillow price was less then $7, down from around $20. I decided to go for it and purchased it. One side is sky blue plastic with the name Chillow on it and on the other side has a dark blue felt with a plug. Inside of the Chillow is a very light weight foam pad. The plug is removed and 7-8 cups of cold water are poured inside and according to the directions will cool on its own. Or it can be placed in the refrigerator for 15 minutes. 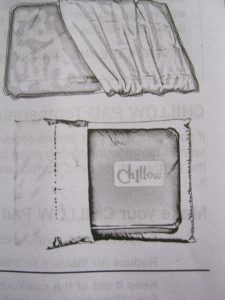 The first night I used the Chillow I chose to not put it in the refrigerator. I didn’ t regret the choice. The cold tap water cooled inside the Chillow within five minutes and it kept getting cooler. It felt great! However there was a downside. Hours later I woke at 4am to feel the Chillow had puffed up and it was warm. I got out of bed, lifted the Chillow off the bed and took it into the bathroom and emptied it before heading back to bed. Unfortunately it took quite a while to get back to sleep. By the time my alarm went off at 7am I didn’t want to get up. 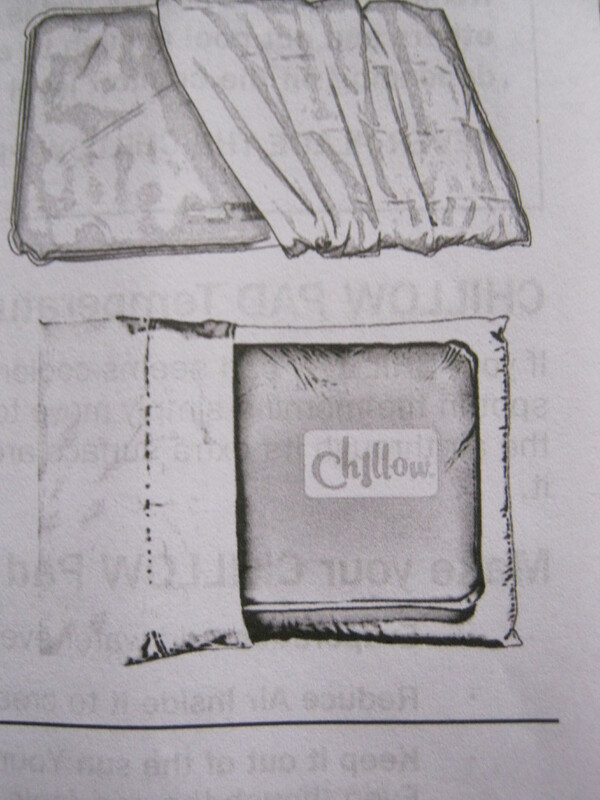 On the second night I used the Chillow, it cooled just like the first night. But sadly I woke up sooner. On the third night I decided if I woke up again I would move the Chillow to another part of the bed and go right back to sleep. For over three weeks this had been good solution until my Chillow failed me. One night in early November, my Chillow started to leak and both my bed and I got wet. It appeared that it no longer could support the upper half of my body. So I drained it one last time and placed the Chillow in the garbage. After that I went online and found a cooling gel pad that I have placed on my Amazon Wish List in the hopes someone will get it for me for either my birthday or Christmas.